SCOPE OF THE INSPECTION: The real estate inspection to be performed for Cli- ent is a survey and basic operation of the systems and components of a building, which can be reached, entered, or viewed without difficulty, moving obstructions, or requiring any action, which may result in damage to the property or personal injury to the Inspector. The purpose of the inspection is to provide the Client with informa- tion regarding the general condition of the building(s). Inspector will prepare and provide Client a written report for the sole use and benefit of Client. The written report shall document any material defects discovered in the building’s systems and components which, in the opinion of the Inspector, are safety hazards, are not functioning properly, or appear to be at the ends of their service lives. The inspection shall be performed in accordance with the Standards of Practice of the California Real Estate Inspection Association (CREIA®), attached hereto and incorporated herein by reference, and is limited to those items specified herein. CLIENT’S DUTY: Client agrees to read the entire written report when it is received and promptly call Inspector with any questions or concerns regarding the inspection or the written report. The written report shall be the final and exclusive findings of Inspector. Client acknowledges that Inspector is a generalist and that further investigation of a reported condition by an appropriate specialist may provide additional information which can affect Client’s purchase decision. Client agrees to obtain further evalua- tion of reported conditions before removing any investigation contingency and prior to the close of the transaction. NON-WAIVER CLAUSE: The failure by one party to require performance of any provision shall not affect that party’s right to require performance at any time there- after, nor shall a waiver of any breach or default of this Contract constitute a waiver of any subsequent breach or default or a waiver of the provision itself. GENERAL PROVISIONS: The written report is not a substitute for any transfer- or’s or agent’s disclosure that may be required by law, or a substitute for Client’s independent duty to reasonably evaluate the property prior to the close of the trans- action. This inspection Agreement, the real estate inspection, and the written re- port do not constitute a home warranty, guarantee, or insurance policy of any kind whatsoever. No legal action or proceeding of any kind, including those sounding in tort or con- tract, can be commenced against Inspector/Inspection Company or its officers, agents, or employees more than one year from the date Client discovers, or through the exercise of reasonable diligence should have discovered, the cause of action. In no event shall the time for commencement of a legal action or proceeding exceed two years from the date of the subject inspection. THIS TIME PERIOD IS SHORT- ER THAN OTHERWISE PROVIDED BY LAW. NOTICE AND WAIVER CLAUSE: Any claim arising out of or related to any act or omission of the Inspector in connection with the inspection of the property shall be made in writing and reported to the Inspector within fourteen (14) business days of discovery and to allow Inspector a reasonable opportunity to re-inspect the issue giving rise to the claim before undertaking any repairs. Client agrees that a failure to comply with the terms of this paragraph shall constitute a waiver of such claim. This Agreement constitutes the entire integrated agreement between the parties hereto pertaining to the subject matter hereof and may be modified only by a written agreement signed by all of the parties hereto. No oral agreements, understandings, or representations shall change, modify, or amend any part of this Agreement. Each party signing this Agreement warrants and represents that he/she has the full capacity and authority to execute this Agreement on behalf of the named party. If this Agreement is executed on behalf of Client by any third party, the person exe- cuting this Agreement expressly represents to Inspector that he/she has the full and complete authority to execute this Agreement on Client’s behalf and to fully and completely bind Client to all of the terms, conditions, limitations, exceptions, and exclusions of this Agreement. SEVERABILITY: Should any provision of this Agreement be held by a court of com- petent jurisdiction to be either invalid or unenforceable, the remaining provisions of this Agreement shall remain in full force and effect, unimpaired by the court’s holding. NO RULE OF CONSTRUCTION: The parties acknowledge that each of them has had ample opportunity for their own counsel to participate in negotiating and drafting this Agreement. Therefore, no rule of construction shall apply to this Agreement that construes ambiguous or unclear language in favor of or against any party. PRIOR REPORTS: The Client is required to inform the Inspector of any and all past and current known defects disclosed on the Transfer Disclosure Statement, or TDS, and/or past inspections performed, whether by a home inspector, Pest Control Com- pany, structural engineer or other entity. The Client is further required to inform the Inspector of the history of all known structural problems, regardless of repair and/or natural or manmade disasters occurring within the home (fire, flood, roof leaks, pipe bursts, etc.). Failure to disclose such information will indemnify and hold harmless the Inspector/Inspection Company from any further claims. REPORT CHANGES: The inspector reserves the right to make changes, modify or amend this report for whatever reason within seventy two hours of delivering it to the client or make changes when additional documentation is received. Inspector will make every attempt to notify the client of these changes and provide you with an amended copy of the report. ATTORNEYS FEE CLAUSE: In the event of litigation relating to the subject matter of this Agreement, the non-prevailing party shall reimburse the prevailing party for reasonable attorneys fees and cost resulting therefrom. A. A real estate inspection is a survey and basic operation of the systems and components of a building, which can be reached, entered, or viewed without difficulty, moving obstructions, or requiring any action, which may result in damage to the property or personal injury to the Inspector. The purpose of the inspection is to provide the Client with information regarding the general condition of the building(s). Cosmetic and aesthetic conditions shall not be considered. B. A real estate inspection report provides written documentation of material defects discovered in the inspected building’s systems and components which, in the opinion of the Inspector, are safety hazards, are not functioning properly, or appear to be at the ends of their service lives. The report may include the Inspector's recommendations for correction or further evaluation. A real estate inspection includes the readily accessible systems and components or a representative number of multiple similar components listed in Sections 1 through 9 subject to the limitations, exceptions, and exclusions in Part III. 3. Attached decks, porches, patios, balconies, stairways, and their enclosures, handrails and guardrails. installed properly or is adequate or effective. Test or operate any drowning prevention safety feature. Practice. Any such inspection shall comply with all other provisions of these Standards. 2. Include photographs in the written report or take photographs for Inspector’s reference without inclusion in the written report. Photographs may not be used in lieu of written documentation. or call us to make other payment arrangements. 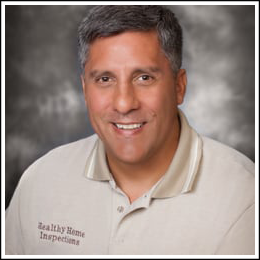 Healthy Home Inspections is the premier home inspection company in California's Central Valley region and Bay Area. We service Stockton, Sacramento, Modesto, Lodi, Valley Springs, Fremont, Livermore and surrounding cities. We provide a service helping home buyers make an informed decision prior to purchasing their new home and you are invited and encouraged to follow along with your home inspector as they perform their inspection.